Your place of business speaks volume of your professionalism, first impressions are important and your windows are one area that should look sharp and clean. Our North York commercial window cleaning team provides industry leading customer service and exceptional cleaning results. Our service is dependable and reliable providing one time cleaning or scheduled cleaning. We will keep your property looking its best. 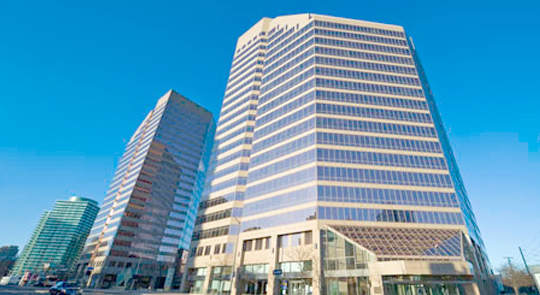 We clean all commercial properties in North York; condominiums, housing complexes, office buildings, churches, and all other commercial or industrial buildings up to a maximum height of 27 storeys. Contact us for a free estimate today! Our service meets your needs and expectations, contact us for a full consultation. When you contact us for a complimentary quote, we discuss your specific needs and requirements for cleaning. If your needs are simple, we will provide a simple plan. If you have specific needs, we will develop a plan to address your project specifically. Rather than offering a prepackaged set-in-stone plan, we provide a solution that meets your specific needs. 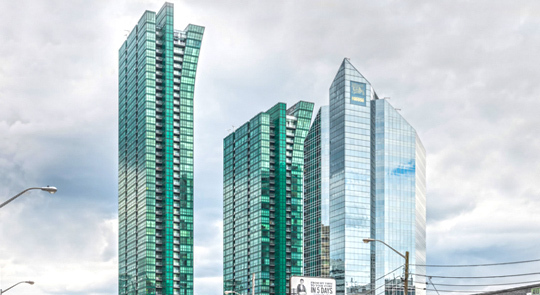 Because no two properties are alike in North York, whether you have a sprawling housing complex or high-rise office building that needs cleaning, we are here to provide a dynamic solution for your needs. With availability six days a week, we will clean your windows when you need it. We provide near round-the-clock service. If you have a specific time constraint that allows for a specific period for us to work please let us know and we will provide a solution that meets your needs. Cleaning windows is a task that can be somewhat disruptive to daily operations. Reducing your downtime is integral to excellent customer service, and customer service is at the heart of our success. Contact us today and discuss your needs, we will work to provide an effective solution. Safe execution of service is paramount. Our staff are highly trained professional workers that have a great understanding of how to provide safe window cleaning services. North York has quite a number of people and commercial properties; we make sure all of our job sites are safe regardless of size or scope. Our employees carry full insurance for peace of mind. Our focus on safety, whether we are using a long reach pole, Bosun’s chair, or skylift, it integral to our service and you can rest assured we are the best in this area. 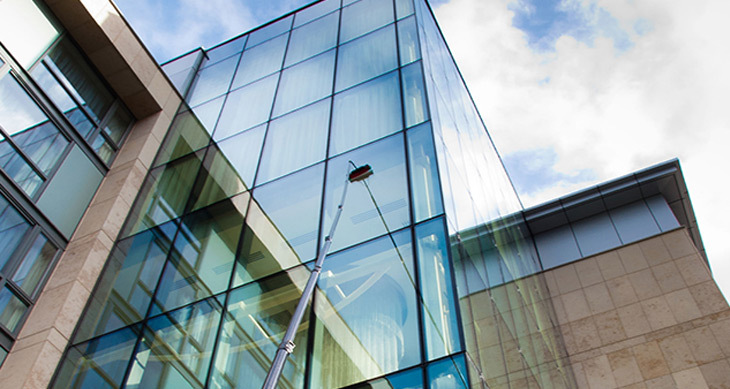 Our North York commercial window cleaning team provides top-notch service; fast, effective, affordably clean windows. Our team takes pride in carrying out our services and delivering top-notch customer service. Insured, trained, safety conscious workers. Our North York commercial window cleaners are friendly uniformed professionals. Clean windows is all they leave behind, no matter what sort of commercial building or industrial property that requires service. We will help to make it look its best. Why Hire North York Commercial Window Cleaners? Whether it is a brick and mortar retail store, or a large-scale office building, it is important that your property looks its best. Dirty windows can easily leave a bad impression on customers, clients, and walk by traffic. Most business owners, unsurprisingly, do not have the time to clean their windows. Increasingly, North York business owners are turning to commercial window cleaners to ensure their windows look great, and here is a few reasons why. Everyone knows that making a first impression is incredibly important, when you had dirty yucky windows people notice! Only when windows are clean and sparkling do they create a positive impression, regardless if they are consciously noticed or not, they are seen. Additionally, clean windows that easily allow sunlight to pass through let customers see inside of the building; for a storefront, this is incredibly important in creating an inviting atmosphere. 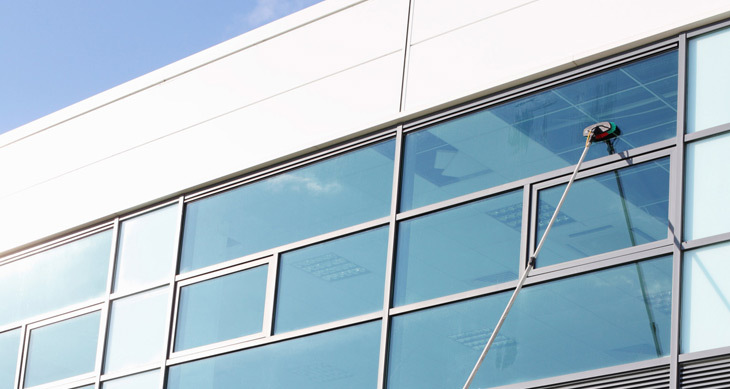 Remember, you only have one chance to make a first impression, take advantage of the opportunity to make a great impression with the help of commercial window cleaning services. Cleaning windows can be a difficult task. It requires a lot of physical effort and for those who are not used to the experience it can be quite taxing. Not only is it a hard time, but it is also very challenging to get a window looking its best if you are using the wrong tools. Furthermore, even with the right tools knowing how to use them takes experience! Hiring commercial window cleaning company in North York lets you spend more time doing the things that you are good at while allowing you to have great looking clean windows. Would you rather tackle some work or spend time cleaning your windows? Taking care of your building is the same as taking care of yourself. If you are meeting clients at your ragged looking office, it is not going to leave the best impression on them if it looks dirty and grimy. Hiring professionals to clean your office windows is going to make a significant difference when it comes to people’s observation of your cleanliness. Leave the window-cleaning job to us; we are skilled-trained professionals. Contact us today for a free, no-obligation North York commercial window-cleaning estimate.